If you are undergoing cancer treatments or are a cancer survivor, you may have increased risk of heart disease. This means your heart needs extra specialized care. Vanderbilt’s dedicated cardio-oncology program – the only one in the region – brings together heart and cancer experts to provide the advanced care you need. Cardio-oncology is an emerging field in medicine. The goal is to minimize the effects of cancer treatments on your heart health. 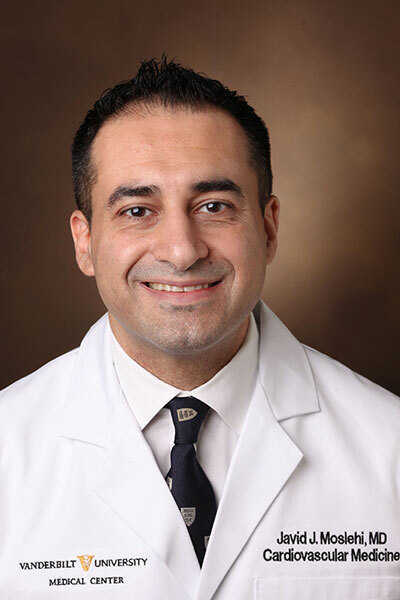 Leading our program is Javid Moslehi, MD, one of the country’s leading experts in cardio-oncology. Dr. Moslehi’s research lab studies the effect of cancer therapies on the heart to improve heart care for patients with cancer. At Vanderbilt, we are leaders in the field of cardio-oncology. Our specialists are advancing the combination of heart and cancer care, supporting our patients through expert diagnosis, innovative treatments and leading-edge research. While advancements in cancer treatment have led to better patient outcomes, treatments such as chemotherapy and radiation therapy can cause problems for your heart and blood vessels. We work with patients to determine strategies that will protect your heart health during and after cancer treatment. Cancer and blood clots: Cancer is a risk factor for blood clots. Blood clots can move into the blood vessels in your lungs or the arteries to your heart. Both can be serious situations. Our cardio-oncologists use the latest technology for identifying patients who are at risk of developing blood clots so we can provide the necessary treatment. Cancer and blood vessels: One way we shrink cancerous tumors is to prevent your blood vessels from supplying the tumor with oxygen and nutrients. Sometimes, this treatment can cause damage to your normal blood vessels. Our doctors and researchers work together to create prevention and treatment strategies so cancer therapies can work better for patients and to decrease the risk of damage to normal blood vessels. Cancer and heart failure: Our cardio-oncology doctors work closely with specialists in advanced heart failure and transplant to care for patients who have heart failure caused by chemotherapy. The Vanderbilt group has been a leader in innovation in the area of cardioprotection, or protection of the heart muscle during cancer therapy. The group uses blood markers and cardiac imaging to identify those at risk early and protect a patient’s heart during advanced cancer treatment. 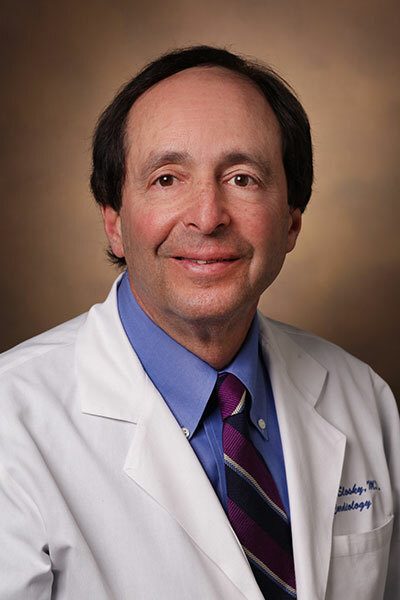 Breast and prostate cancer survivors: Vanderbilt cardio-oncology has developed a unique “ABCDE program” to help breast and prostate cancer survivors avoid heart damage as a result of cancer therapy. By helping patients manage the essentials of cardio-oncology, such as lowering cholesterol and getting regular exercise, cancer survivors can reduce their risk of heart disease and may also reduce the risk of cancer recurrence. Vanderbilt Amyloidosis Multidisciplinary Program (VAMP): Amyloidosis is when abnormal protein deposits form in certain organs or tissues. At Vanderbilt, we have a unique program dedicated to caring for patients with amyloidosis. The VAMP team includes specialists from many different fields of medicine, working together to provide you with comprehensive, effective care.